DxO has this week unveiled new features and accessories it is added to its already available DxO ONE iPhone Camera Module in the form of a wireless remote control and waterproof outdoor shell casing. The new waterproof coatings are available in a variety of different colours and are compatible with all existing DxO ONE cameras and will protect the camera from either splashes or if you prefer a submersible and immersion proof case is also available to protect camera to a depth of 150 feet. DxO’s new Wi-Fi Remote Control implementation is remarkable in that it completely eliminates the cumbersome and altogether frustrating Wi-Fi conguration process that plagues every other Wi-Fi-equipped camera on the market. When attached via DxO’s patented Lightning connector, Apple iOS can seamlessly pass its Wi-Fi authentication credentials from the iPhone to the DxO ONE. By enabling remote connectivity between the DxO ONE camera and your iPhone, photographers are free to explore every conceivable photographic angle, while still having control over every capture setting, and the ability to easily view, edit and share their content to social media sites such as Facebook, Instagram, and YouTube. 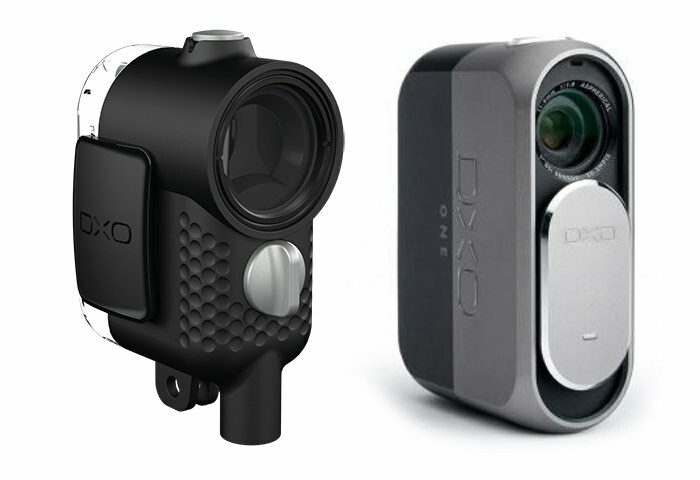 The Outdoor Shell, compatible with all existing DxO ONE cameras, is extremely rugged and yet quick and easy to attach. The shell can be equipped with either of two waterproof back doors, one of which is splash proof (IP67), perfect for sailing or walks in the rain. The other is fully submersible and immersion proof to depths of 45m (150 ft) for scuba diving in a reef or just swimming in your pool. For more information on the new DxO accessories jump over to the official press release website via the link below.